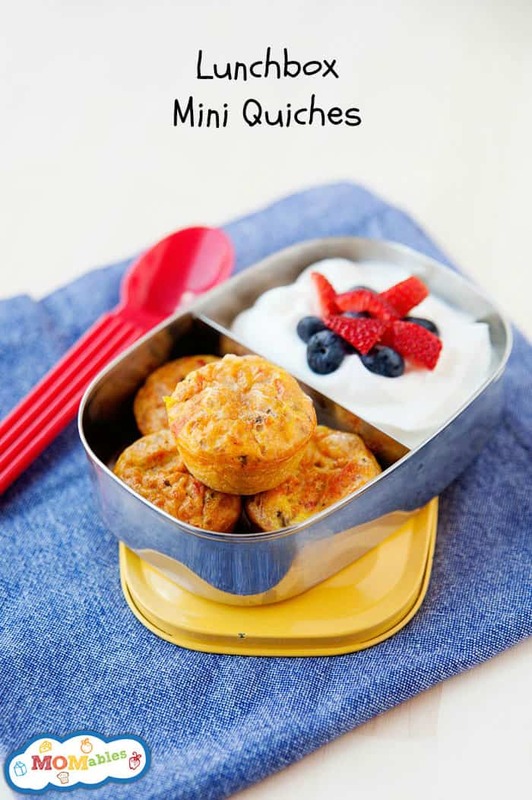 Looking for a school lunch idea that can be made ahead of time? Then these Zesty Mini Quiches are for you! How often have you made yet another same old sandwich, wishing more creative lunch ideas didn’t take a lot of time? Deep down, we all want to provide our kids with variety, but coming up with new things in the morning before school isn’t always realistic. One of the things our members learn with our meal plans is how to make recipes like this one: simple recipes that are often made in one bowl and take just a couple of minutes to prepare. The bonus: This one-bowl wonder can be made the night before (or two!) and packed in a lunch box in a snap! Check out the video below to see how they are made, and visit this post for the recipe. A yogurt blueberry coffee cake recipe that's super easy to make! My daughter loves mini quiches, but she only likes the ones with bisquick in the recipe. Do you have a healthy bisquick recipe (possibly one with whole wheat) or do you know of a healthy bisquick that can be purchased. The heart healthy one doesnt seem to be much better. Bisquick is flour + baking powder essentially. You can add 1/4 cup of flour + 1/2 teaspoon baking powder to this recipe to yield a thicker quiche. enjoy!